During the Nintendo Direct at E3 2018, Nintendo released a massive amount of new information about the upcoming Super Smash Bros. game revealed back in March, now titled Super Smash Bros. Ultimate. One of the most significant points of information driven home by the presentation is that Super Smash Bros. Ultimate will see the return of every playable character in the series’ history. That includes DLC, characters who only appeared once in the past, and all third-party characters are all returning. The new game will see the return of such characters as Young Link, Pichu, Wolf, and Snake, each of whom only appeared in one game before being dropped. That means that Super Smash Bros. Ultimate has 62 characters returning, and that’s not even including the new characters. That being said, according to Sakurai, due to the amount of work required to prepare that many characters for the new game we will be seeing fewer newcomers this time around. Clone characters have also now been reclassified as Echo Fighters. This includes Dark Pit, Lucina, and now Princess Daisy, since they all more or less share another character’s moves and attributes. Final Smashes have been reworked in general, trying to make them quicker so the game can resume more quickly. Players will start with a small starting roster, but new characters will unlock quickly and frequently. The bulk of the video was highlighting some of the characters who have been changed for this outing. I’m not going to cover them all here, but the list is huge, and Sakurai mentioning that the changes to returning characters alone likely numbers in the tens of thousands. The section of the video covering them starts at 5:25. 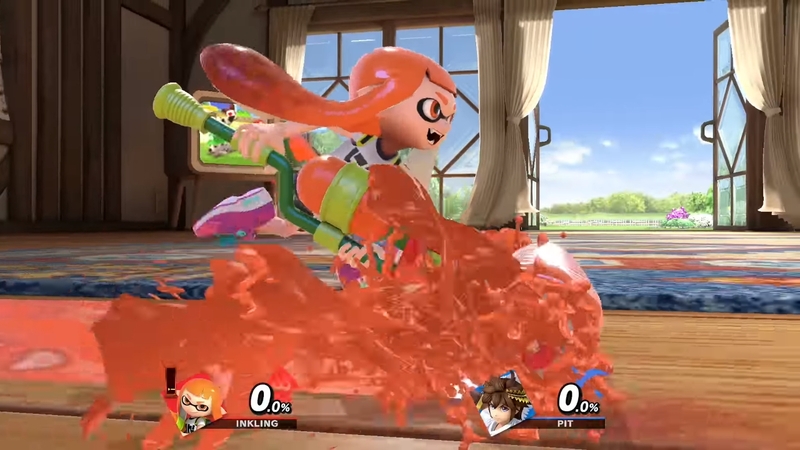 It also goes over some of the Inkling’s abilities, such as using a variety of different weapons from Splatoon for different moves, and a unique ink gauge. They can splatter foes with ink to make them take more damage from the Inkling’s attacks, as well as splattering ink on the ground. The Inkling can also hide in the ink to restore their ink gauge. Different colors include Inkling girls as well as boys, with different ink colors and outfits for each one. In addition to new stages, there’s also a large number of returning stages, promising a massive list of stages in the final game. Omega forms return, and each stage will also have a Battlefield form with three floating platforms. Some new stages include The Legend of Zelda: Breath of the Wild‘s Great Plateau Tower, Super Mario Odyssey‘s New Donk City complete with “Jump Up, Superstar!”, and Splatoon‘s Moray Towers. 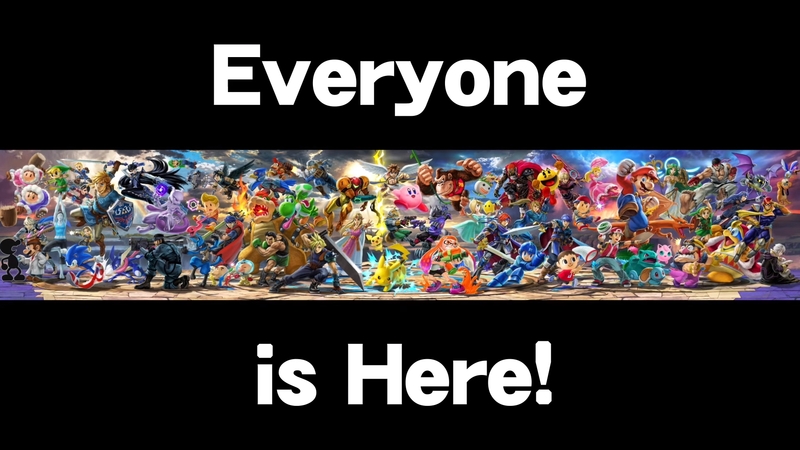 There will also be new items, Pokémon and Assist Trophies, with over 50 Assist Trophies in total. Some Assist Trophies can now be KO’ed, and players get points for doing so in a timed battle. Directional dodging is back for the first time since Super Smash Bros. Melee, although it’s not clear if this uses up your aerial action like in that game. Dodging repeatedly weakens your dodges, giving you less invulnerability, leaving you open more if you overuse it. Pressing an attack plus the jump button gives you a short hop and an instant air attack, and smash attacks can be executed by pressing A and B together. Perfect shielding is done when you release the shield as opposed to when you put it up, and the timing will seemingly be more difficult than before. Damage is increased slightly in one-on-one fights, and damage values are now precise down to one decimal point. In one-on-one fights, certain attacks will also cause brief slow motion to add emphasis to big hits, such as Captain Falcon’s Falcon Punch. The game will be compatible with the GameCube Controller, using the GameCube Controller Adapter which itself is compatible with the Switch. On top of that, all existing Super Smash Bros. series amiibo figures are compatible with the game, as are figures from other series representing fighters in the game, such as all the different Mario amiibo even outside the Super Smash Bros. line. It seems to work similarly to how it did in the previous game, and FP data from the previous game will carry over. There will also be amiibo added for the new characters. This time it’s actually real. He’s very small in this. The video ends with a new character reveal trailer. 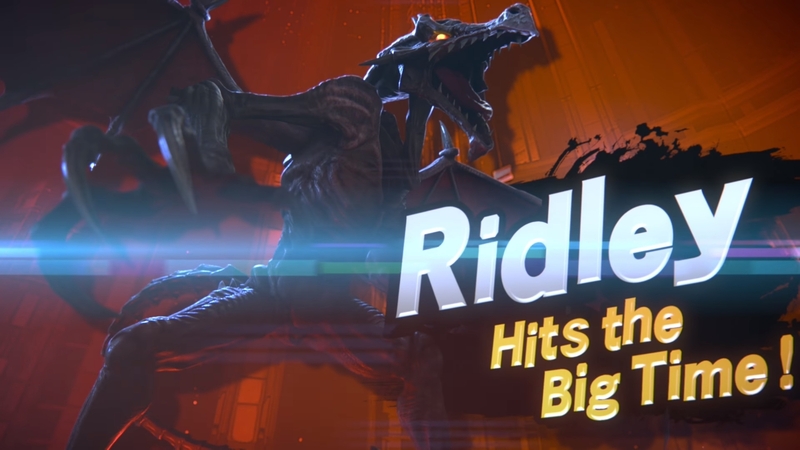 The new character is Ridley from the Metroid series, showing off some of his brutal attacks and playstyle. He’s a bit smaller than he is in the Metroid series, but hopefully no less intimidating. Super Smash Bros. Ultimate is set for release on Nintendo Switch on December 7, 2018. More information can be found on the game’s official site.